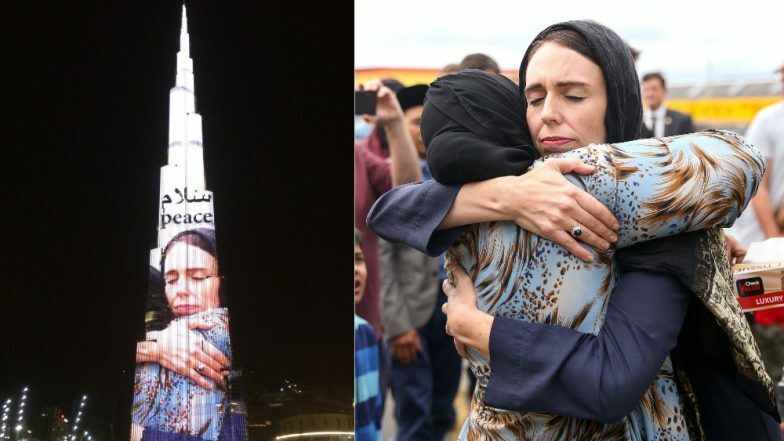 Burj Khalifa, the world's tallest structure in Dubai shone displayed the photo of New Zealand Prime Minister Jacinda Ardern embracing a woman at the Kilbirnie mosque in Wellington with 'Peace' written on it. UAE Vice President and Prime Minister His Highness Sheikh Mohammed bin Rashid Al Maktoum on Friday also thanked Ardern on Twitter for her 'sincere empathy' towards Muslims after shooting at Christchurch mosque last week that killed 49 dead. He also praised communities in New Zealand for standing in solidarity with their Muslim neighbours. Sharing a picture of Burj Khalifa shining with the photo of Ardern hugging a woman, His Highness HH Sheikh Mohammed tweeted saying, "New Zealand today fell silent in honour of the mosque attacks' martyrs. 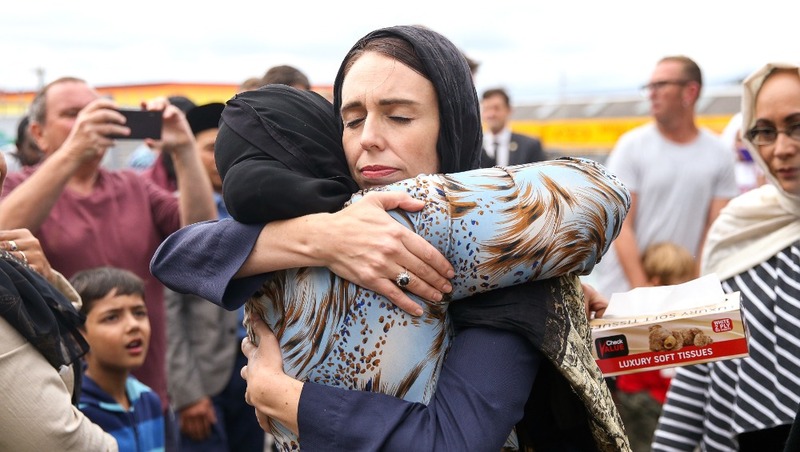 Thank you PM @jacindaardern and New Zealand for your sincere empathy and support that has won the respect of 1.5 billion Muslims after the terrorist attack that shook the Muslim community around the world." New Zealand PM Jacinda Ardern Receives Death Threats on Social Media; Text Reads: 'You Are Next'. On Friday, scores of women in New Zeland wore headscarves remembering the mosque shooting victims. PM Ardern termed the attack as "one of the darkest days of New Zealand". Pictures of her standing with people who lost their loved ones in the terrorist attack had gone viral on social media gaining her praises for the gesture. New Zealand Terror Attack: PM Jacinda Ardern Imposes Ban on Assault Rifles, Military-Style Semi-Automatic Weapons. She had said," I want to send a message to those directly affected… For many, this may have not been the place they were born. For many New Zealand was their choice, a place they actively came to and committed themselves to…it was a place where many came to for their safety. A place where it was safe to practice their culture and religion." Among 49 people who died in the attack, five were of Indian origin. Prime Minister Narendra Modi strongly condemned the attack in a letter to the New Zealand Prime Minister. The Bangladesh Cricket Team, who were scheduled to play against the New Zealand Cricket Team had a narrow escape from the shooting. The killer who had live streamed the shooting on Facebook was identified as a 28-year-old Australian, Brenton Tarrant. He was held and charged with murder and is due for hearing in court on April 5.